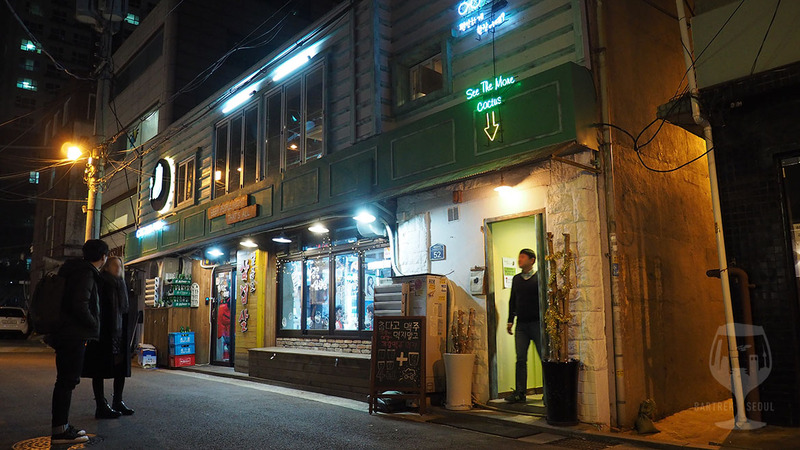 In Munbaedong, an aera tucked between Hyochang Park and Samgakji, there is a new hipstery street with art and craft stores, wine pubs, smoky barbecues and even an arcade. 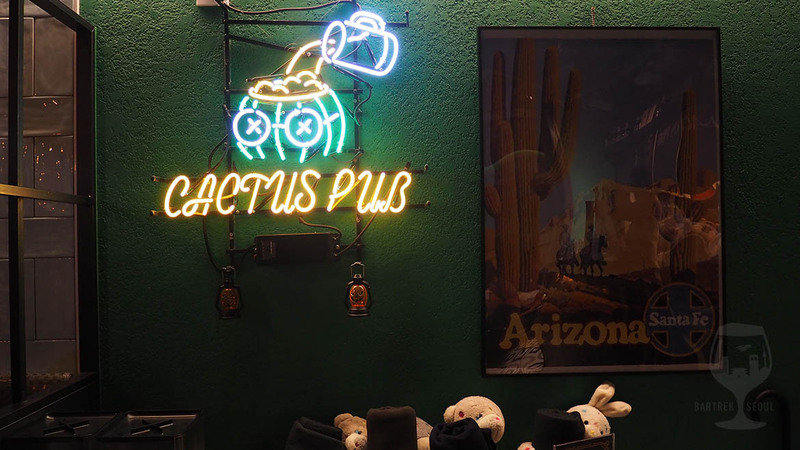 Among the many interesting venues along this newly found street, we find Cactus pub, a cozy little taproom with an adorable theme. View towards the counter and the main entrance. 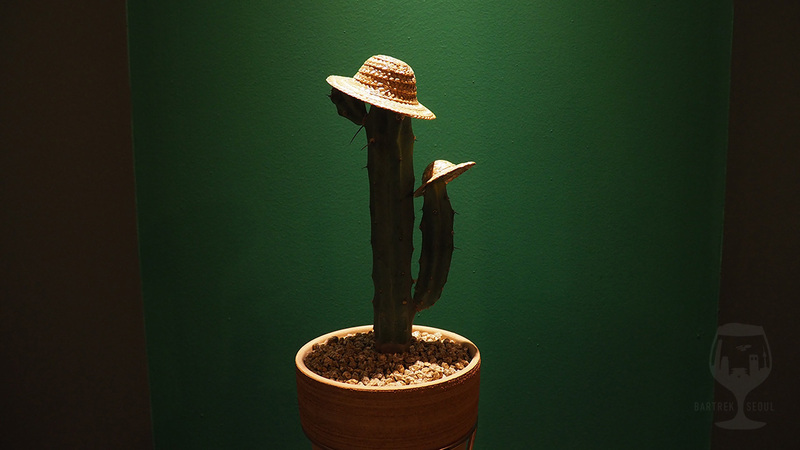 The venue itself is small and cosy, sporting a rough and industrial look and a whole lot of cacti. Suitable for both small and large groups, with some movable tables and chairs as well as some smaller tables with bar stools. 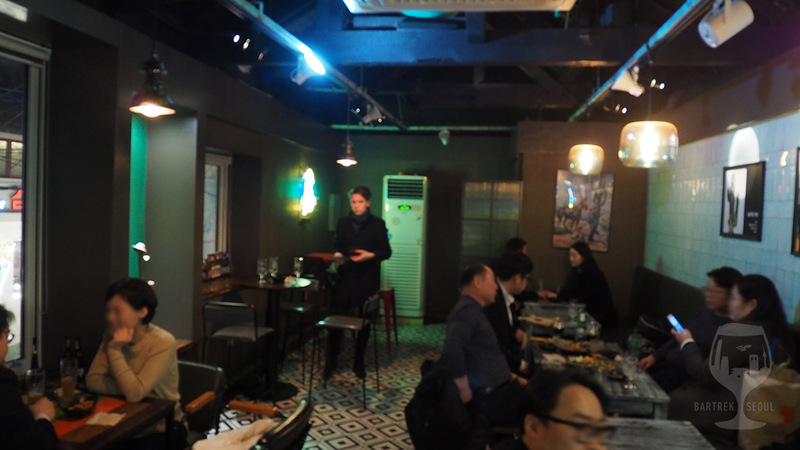 Even on a Friday night the atmosphere is relaxed and pleasant, and there are several other groups in the pub. 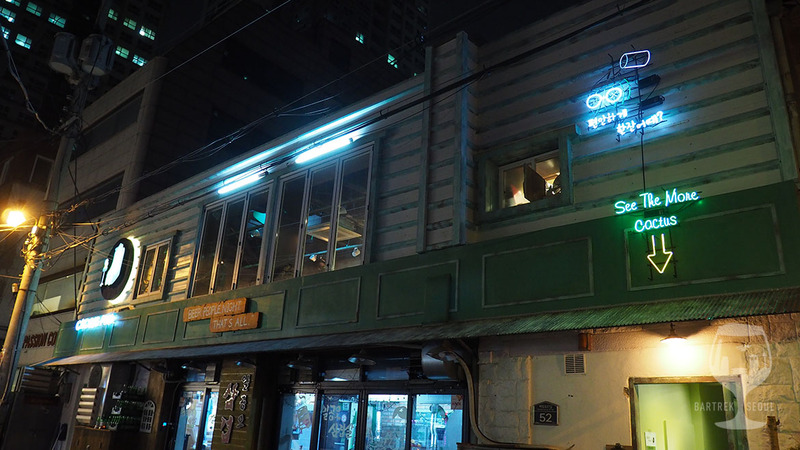 The music is the typical Korean wild mix of styles, but at a volume that does not bother anyone. On the menu you can find a decent selection of Korean and import beers on tap and bottles, including Sculpin, Red Rock and beers from The Booth. While there are a number of beers available, the highlights are few, and the Kukmin IPA is so great on tap we all got the same one. 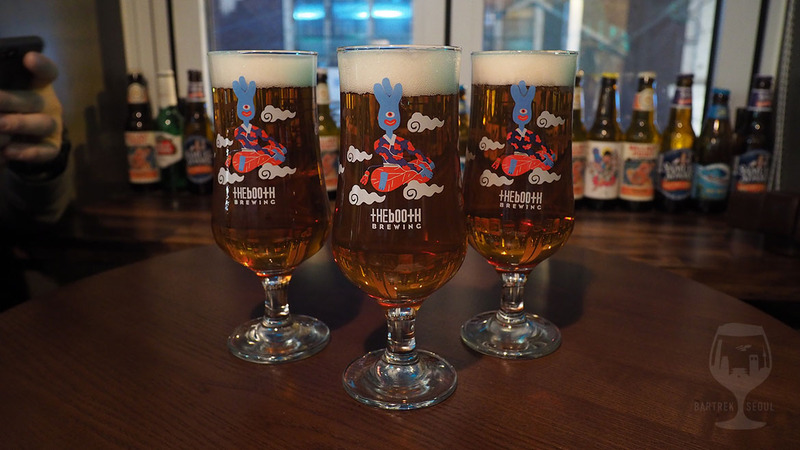 Fresh, sharp and hoppy, a classic IPA. 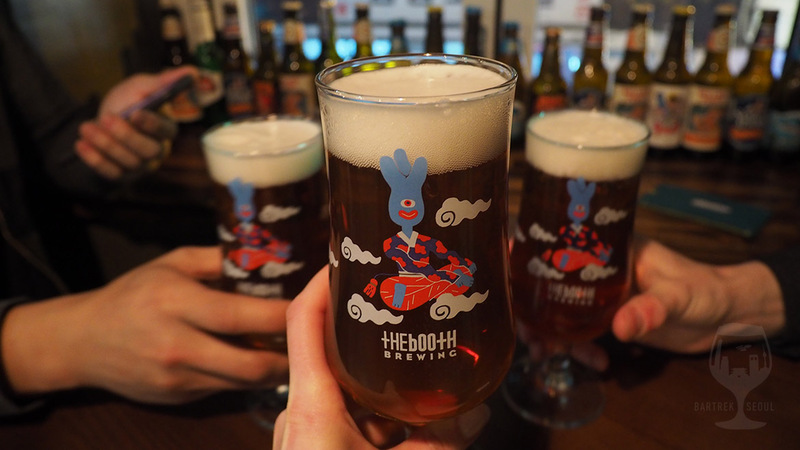 The Daedonggang is also great on tap, rich flavor and a little fuller than the Kukmin. That night we had only The booth Kukmin IPA’s. 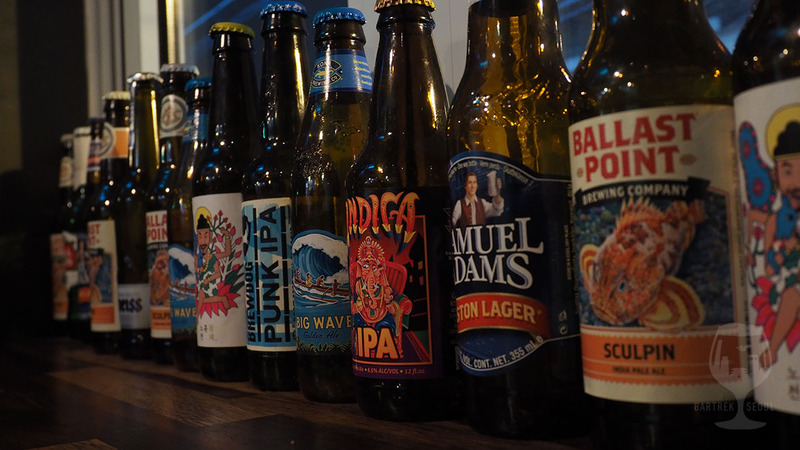 Some of the beers available on their menu, mostly common styles. Unlimited salty snack assortment! Definitely a big plus for this place. Salty snacks are unlimited, which is definitely a plus. 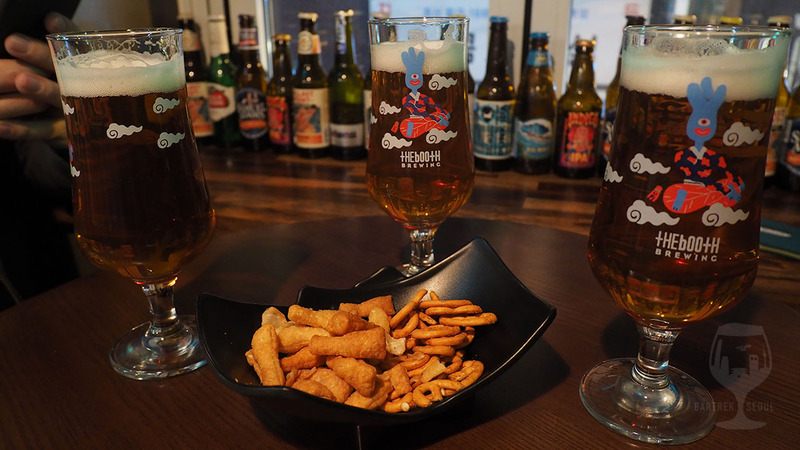 The little bowls offer a variety of salty and spicy snacks and are refilled frequently by the young and friendly staff. 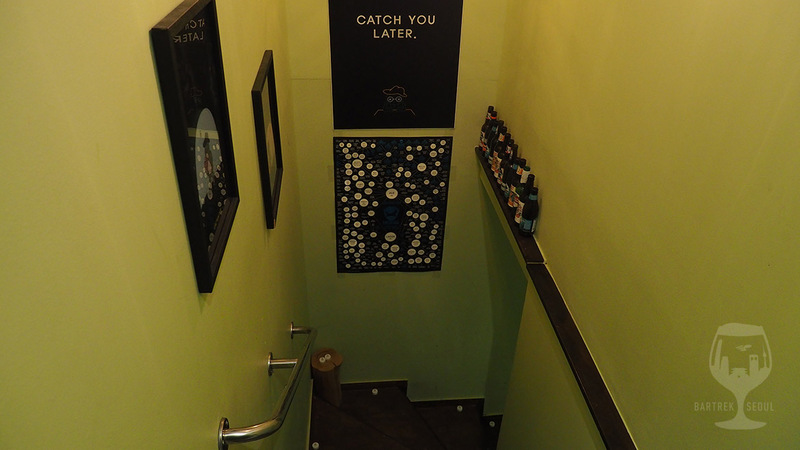 Cactus also has a food menu, which is posted near the entrance so visitors can see what is available even before entering. 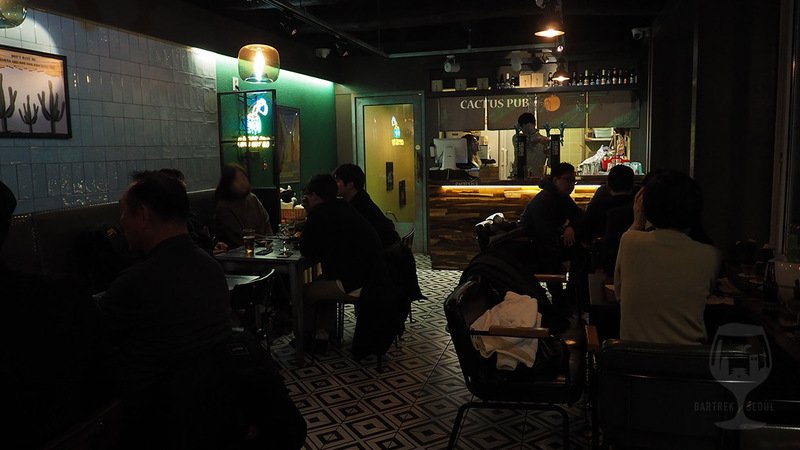 While this cozy street has great potential and several places opening soon, it is somewhere you would go for the environment (and maybe Korean barbecue) rather than the craft beer experience. 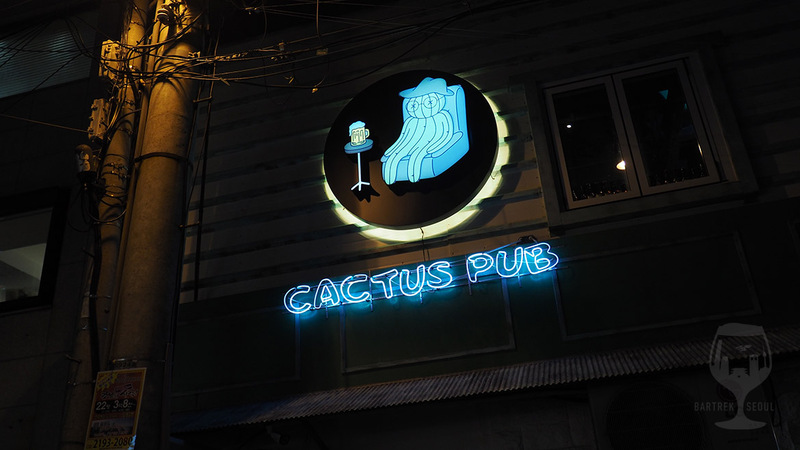 Walking through this little street in Munbaedong is an interesting and refreshing experience, and Cactus pub is a place worth visiting for the charming interior and atmosphere, especially if you live in the area. 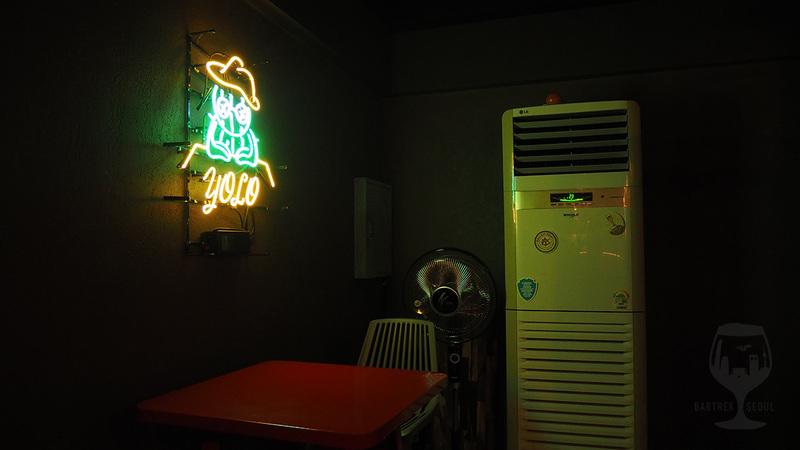 Several neon signet with their cactus character on the walls. 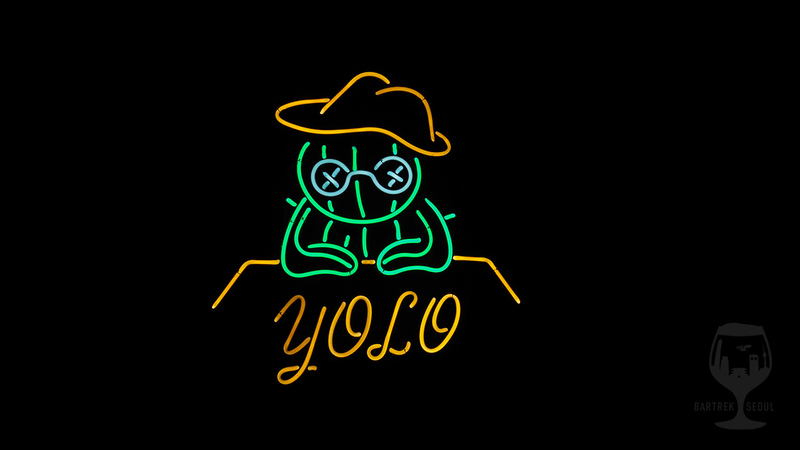 Another shot of the YOLO cactus. Another cute neon sign, a little on the morbid side. A blurry picture to the pub. View through the door glass. 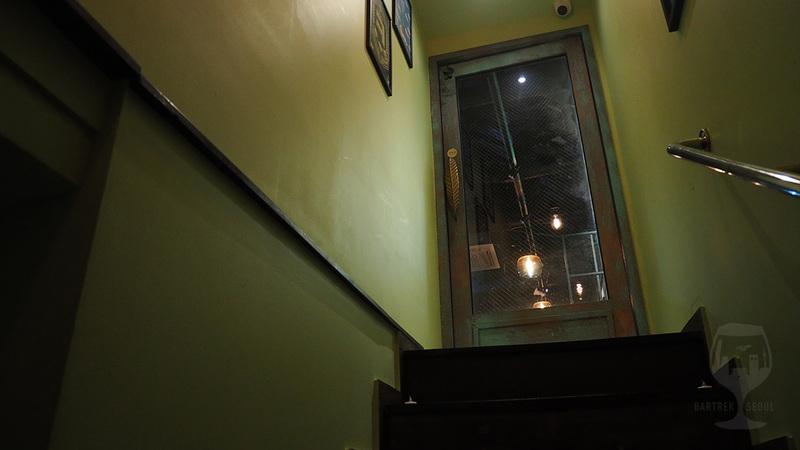 The pub is the second floor. 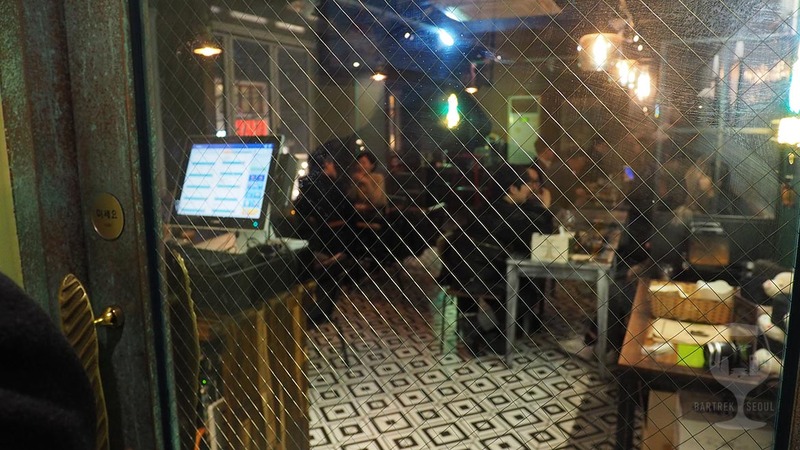 Ground floor of the building has a barbecue restaurant. Only after having dinner at another place we saw that if we had dinner here they would have given some discount coupons to the Cactus pub!